There are some flights popping up from Toronto to Los Angeles, California (LAX) in the mid $300s, roundtrip, including taxes on Air Canada and United Airlines. The typical best price is around the low to mid $500s. 1. Start a search for a flight on Travelocity.ca or Priceline.com from Toronto (YYZ) to Los Angeles (LAX) - they seem to be the only two sites showing these prices at the moment. More dates will be added to this post as they are discovered. Help your fellow traveler out, and comment if you find any. 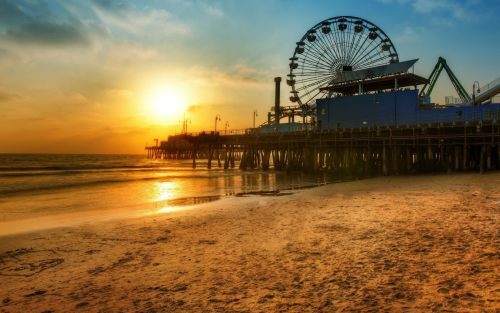 The following AirBNB link will lead you to some great deals on places to stay in Los Angeles for under $100 CAD/night for 2 people. toronto, yyz, flight deals, united states, air canada, california, united airlines, north america, los angeles and lax. 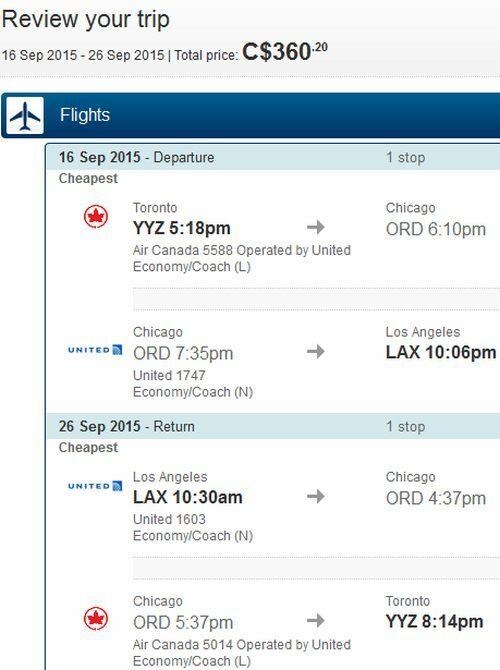 6 Responses to "Toronto to Los Angeles - $360 CAD roundtrip including taxes"
Price is corrected now. It is $410. Instead of $360. Just booked it on Expedia for the November dates no problem! They're now showing up on United's website directly. This one is long gone T, it was posted way back on July 29th. You may want to sign up for the YYZ Deals Alerts to make sure you are notified the next time one comes up.